Kärnten-Netz GmbH relies on UBIK technology! KNG-Kärnten Netz GmbH is currently investigating the use of new technologies for supporting switching operations in the medium-voltage network. For this case, Augmensys was selected by Omicron electronics GmbH and KNG-Kärnten Netz GmbH to develop a prototype. 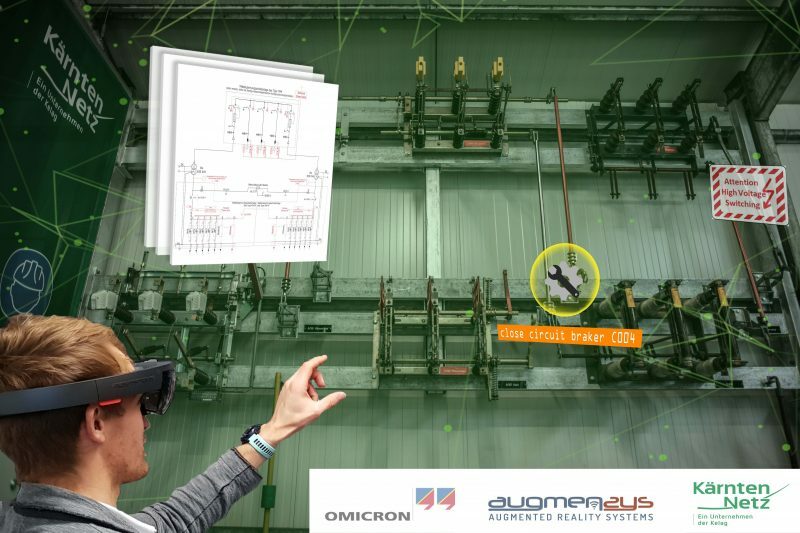 With the aid of Augmented Reality supported software, industrial tablets and state-of-the-art data glasses, the processes, efficiency and occupational safety of the switching operations are to be further increased. This video shows how UBIK on the Hololens supports switching operations in the training center of Kärnten Netz GmbH, Austria. Sequential tasks are guiding the user through critical procedures, while push messages are drawing the operators attention to safety-relevant incidents.